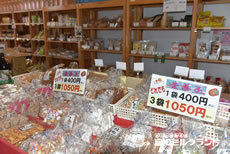 Shopping | Visit Fuji Milkland at the foot of Mount Fuji in Asagiri Kogen highland. 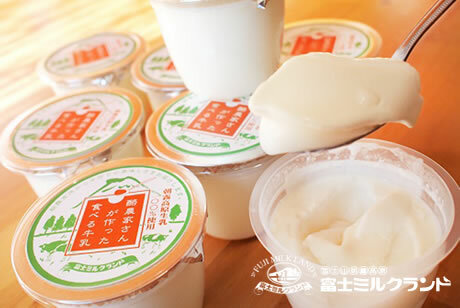 Homemade dairy products made from quality Asagiri Kogen milk! 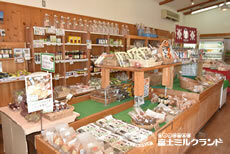 Award-winning products such as “Stripe Cheese,” “Taberu Gyu-nyu,” and “Mount Fuji Yogurt” are sold here. Taste the high quality milk from cows raised in the best environment. 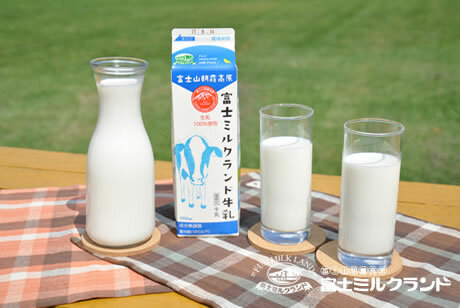 Typical milk in Japan is pasteurized for 1 to 3 seconds at 120 to 150C. Here at Milk Land, the milk is pasteurized for 15 seconds at 85C for better taste. This method prevents the denaturing of proteins while sterilizing the milk effectively. 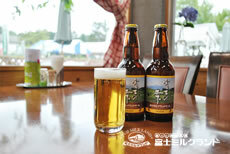 The raw milk is from cows grown with the cleanest air of Asagiri and snowmelt from sacred Mount Fuji. 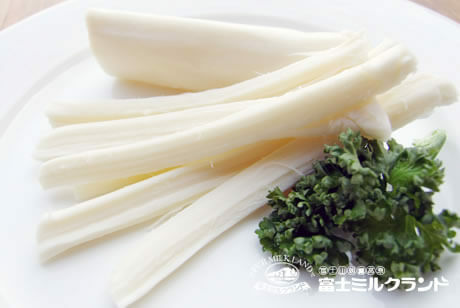 String cheese, package of 1 (30g) or 3 (100g). 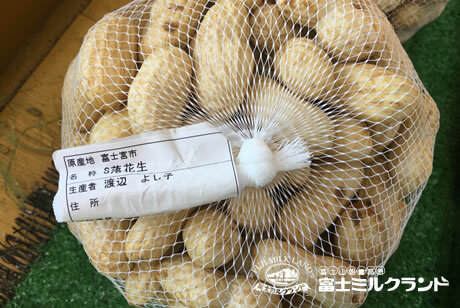 Winner of Chair of Prefectural Assembly Prize in the Shizuoka Homeland Food Contest. 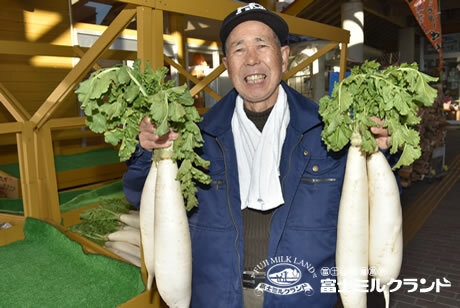 Fresh raw milk is transported directly from dairy farms in Asagiri to our factory to become the cheese that goes along well with alcoholic beverages. Only natural salt and no additives are used to season the product. 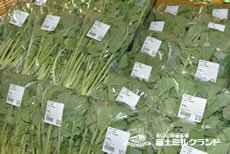 Plain has a delicate taste with rich milk flavor and Smoked has a rich aroma. 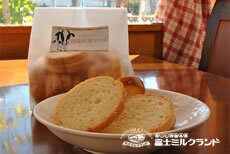 Made from fresh, raw milk (100% from Asagiri), sugar, and gelatin. This totally new kind of dessert is so smooth you can “drink” it. Rich and moist cheese cake. 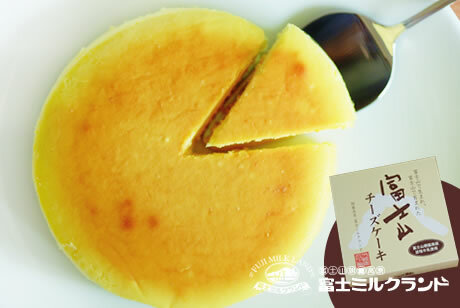 Perfect size for sharing in the family, the cake can be taken home without refrigeration. 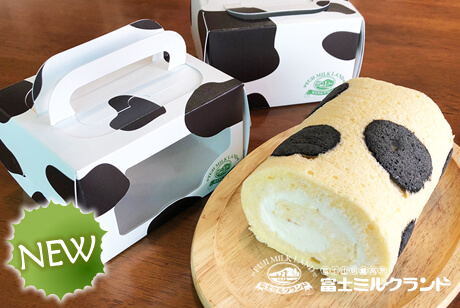 Milkland’s patissier uses high-quality milk and fresh eggs from Asagiri Kogen highland to make this cute, delicate “cow-spot” roll. 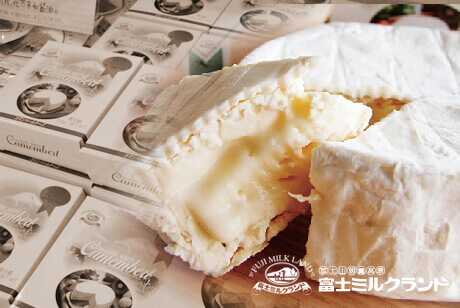 Winner of Special Judge Award and Merit Award in the 3rd Annual All Japan Natural Cheese Contest in 2001. 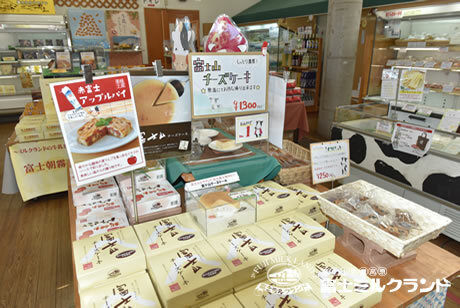 Our visitors’ favorite take-home gifts are Mount Fuji Cheese Cake and Asagiri Kogen Rusk. 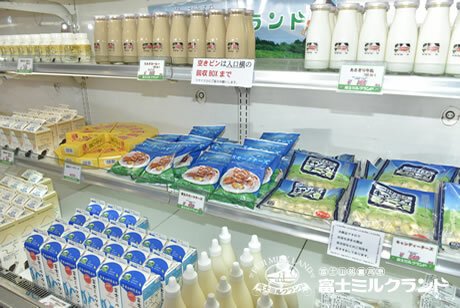 We also have a wide variety of products ranging from Osashimi Cheese, Nomu-Oppai Yogurt, and Aka Fuji Apple Pie to Milk Candy. 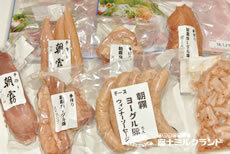 Sausages and locally brewed beer from the area are also available in the store or online. Please ask for gift packaging. 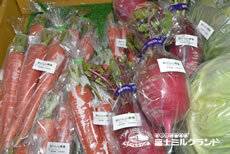 We support organic farmers in Asagiri Kogen and other areas. We also have select condiments, seasoning and processed goods. 1. Add water and peanuts in a pot, cover water surface with foil, and put on heat. 2. When water comes to a boil, turn heat down to low and cook for 30 – 40 minutes. 3. Take one and squeeze to see if the peanut is soft enough. 4. If it is, turn off heat, add salt, and let it rest for about 10 minutes. Coniferous (Japanese cypress, pine, and Japanese cedar)　Ignites quickly. Deciduous (oaks and Japanese white birches)　Lasts long. 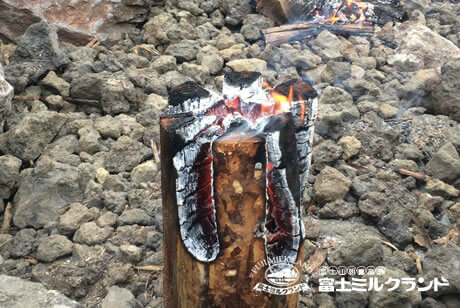 ■”Woodcutter’s Candle” recommended for camping out. (a.k.a. Swedish Torch)　The log burns slowly from the inside.